Sample Courses are just that – free samples so you can try them to see if the format works for you. They are quick and simple, but representative of how online learning works at Practice UP! Basic level courses are basic courses available to all learners for $29. APHA members may take these courses for free or at a discount. Learn more. These higher level courses, numbered 500 or higher, are available to all learners. They are courses that last longer, are more detailed than Basic Level, and cost $59 each. APHA members’ discounts are based on the membership they have. * Learn more. Advanced Level courses, numbered 800 and higher, are available to all learners. They are courses that are extensive and highly detailed, and may involve personal meetings, or attendance at webinars or meetings. Their pricing varies based on the details of the course. APHA members’ discounts are based on the membership they have. * Learn more. You may use a credit card, or pay by check, bank, or money order. As you register for your courses, you’ll be prompted for your form of payment. Credit card payments are made through Stripe, simply linked in your cart. Stripe is a secure credit card processor with an excellent reputation. Practice UP! does not retain your personal payment information. To pay by check: Link here for instructions. Find all APHA discount pricing here. Your discounts are achieved by using the coupons available to you through your membership. 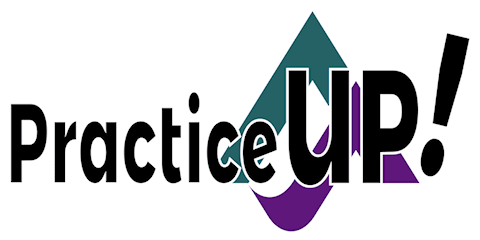 Simply log into your dashboard and find the link to PracticeUP!. All pricing and parameters are found there, according to your level of membership. The duration of each course varies. They may take only a few minutes to complete, or they may take months. The estimated duration is available in the description for each course. You will receive periodic notices to be sure you have ample access to complete each course. Upon expiration, your access, and any completion records, will be removed from the site. We have a No Refund Policy on this site because courses can be reviewed and completed in just a short period of time. Unfortunately it would be simple for someone to pay for a course, take it quickly, then ask for a refund. Whether or not that would be a learner’s intent is not something we can gauge; therefore – no refunds.